Lúnasa – in Ireland it’s the name for the eighth month, and a festival. August? So that would relate to Lammas in English – the first of August? 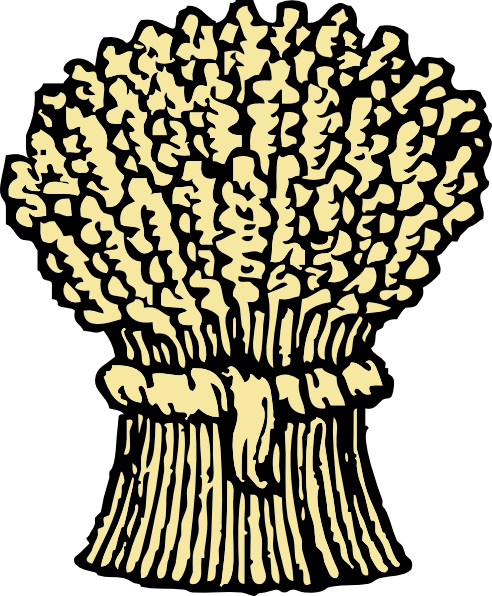 Yes, Lammas is supposedly from the Anglo-Saxon Hlafmaesse – meaning ‘Festival of the Loaf’. Here it was traditional to bake bread at Lúnasa – a round loaf, which was cut into four and each quarter was then set in the corners of the barn where the grain would be stored, to ensure a good harvest. So is Lúnasa the harvest festival? By some accounts, yes. Although the beginning of August is a bit early for harvesting. Having said that – our music session in Ballydehob last night was temporarily disrupted by the sight and sound of a fleet of huge tractors and a combine harvester thundering through the main street in the dark – yellow lights flashing dramatically: after a prolonged period of hot sunny weather there was a big rain storm forecast, so the farmers were working through the night to get in as much of the crop as possible before the deluge. And did the rain come? 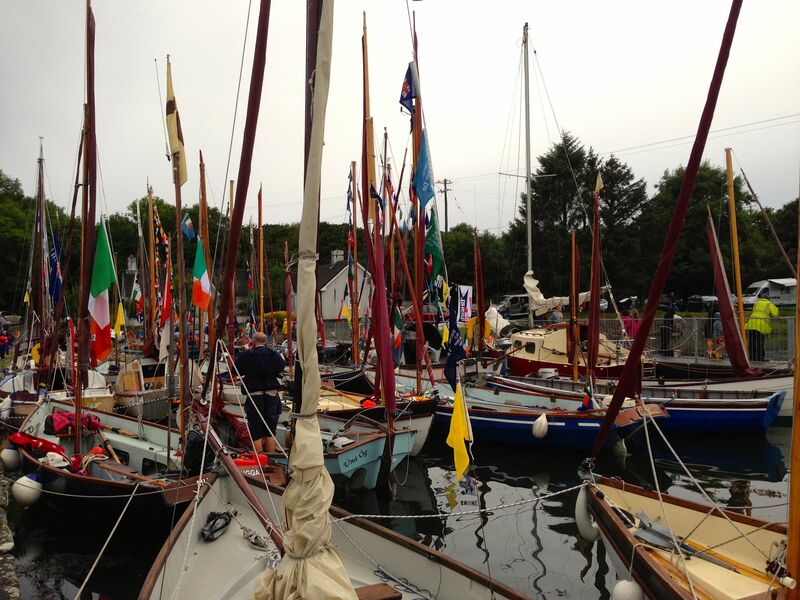 It did – just in time to dampen the Ballydehob Wooden Boat Festival. But it certainly didn’t put a dampener on the spirit of the event. Is Lúnasa celebrated in Ireland nowadays? Well – it’s remembered: you may have heard of Brian Friel’s play Dancing at Lughnasa, turned into a film in 1998. It’s set in rural Donegal in the 1930s and poignantly tells of the lives of five women encapsulated through one summer month. It touches on ritual themes and the mixture of superstition and religion which still characterises life in Ireland today. Well spotted! On the calendar it’s usually Lúnasa. 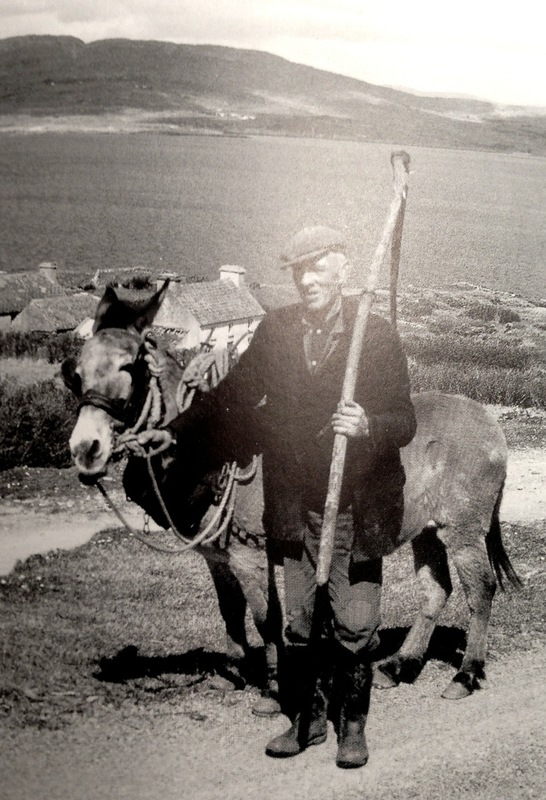 It’s suggested that the word Lughnasa harks back to pagan times: there was a god – Lugh – who in Irish mythology led the Tuatha Dé Danann against the Fomorians. After the victory Lugh finds Bres, the half-Fomorian former king of the Tuatha Dé Danann, alone on the battlefield, and Bres begs for his life. If he is spared, he promises, he will ensure that the cows of Ireland always give milk. The Tuatha Dé Danann refuse the offer. He then promises four harvests a year, but the Tuatha Dé Danann say one harvest a year suits them. But Lugh spares his life on the condition that he teach the Tuatha Dé Danann how and when to plough, sow and reap. That story rather neatly ties up the connection with the harvest… Any more traditions? 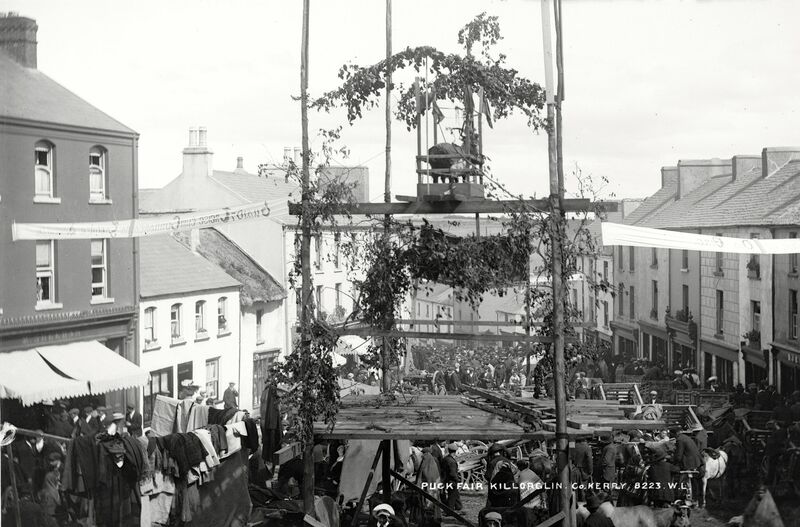 August is the holiday month and there are plenty of things happening in Ireland: my favourite is Puck Fair, held every year in Killorglin, County Kerry. I came across it by accident when I was travelling in Ireland some forty years ago; now it’s notorious. Well, the central feature is an enormous Billy Goat, captured in the wilds of the Kerry Mountains. He gets treated royally – literally, as on the first day of the Fair he’s crowned King by a twelve year old girl. He’s then placed in a cage on top of a high platform which looks out over the street fair, which continues for three days. That certainly does sound pagan! What happens to King Puck after the Fair? He goes back to the mountains. 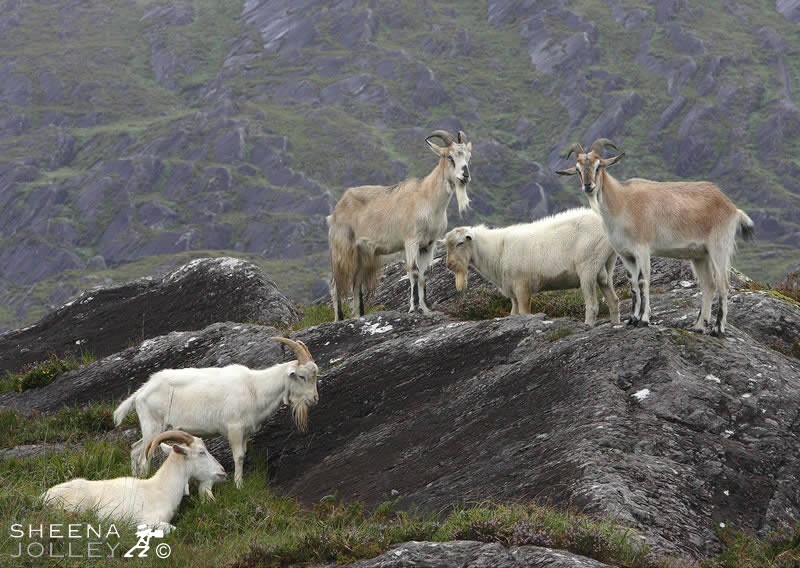 It’s not uncommon to see wild Goats up in Kerry. Is there a story attached to King Puck? And are you celebrating Lúnasa yourself? 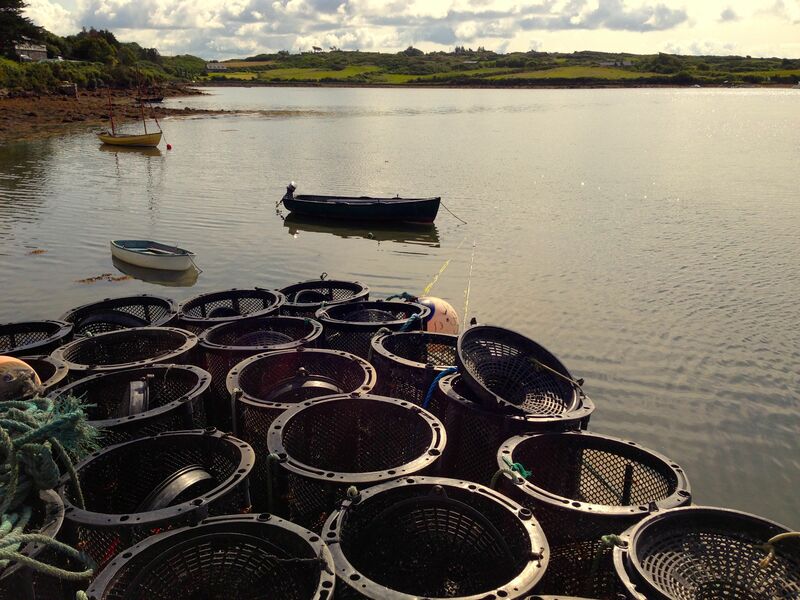 We’re off to the Blessing of the Boats this morning in Schull. 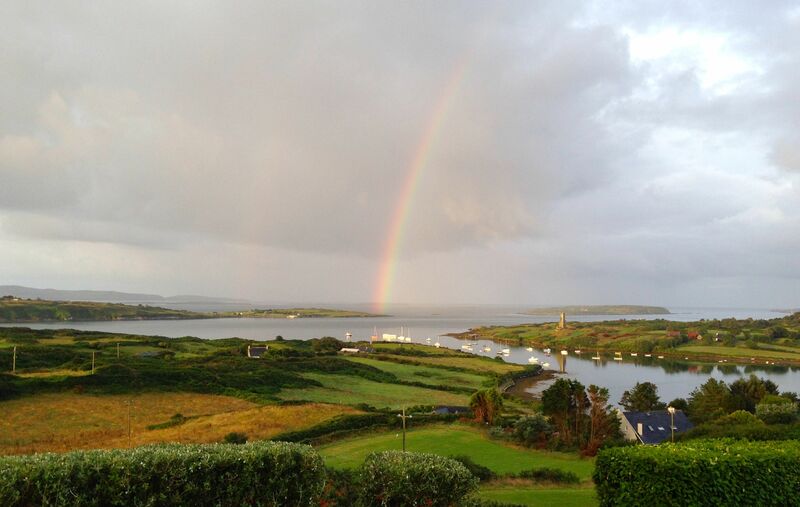 Then we’re over to Hare Island later on for an evening meal with friends who’ve sailed down to West Cork for the weekend. This entry was posted in Ballydehob, Folklore, Irish Culture, Irish History, Kerry, Roaringwater Bay, Rossbrin Cove, Schull, West Cork, West Cork Blog and tagged Ballydehob Wooden Boat Festival, Blessing of the Boats, Brian Friel, Dancing at Lughnasa, Harvest, Harvest Festival, Killorglin, King Puck, Lammas, Lúnasa, Lugh, Lughnasa, Puck Fair, Sheena Jolley, Sheena Jolley Photography, St Patrick, Wild Goats. Bookmark the permalink. And that should be opening ….. Your oepning photo is superb!! What a way to welcome in Lúnasa! 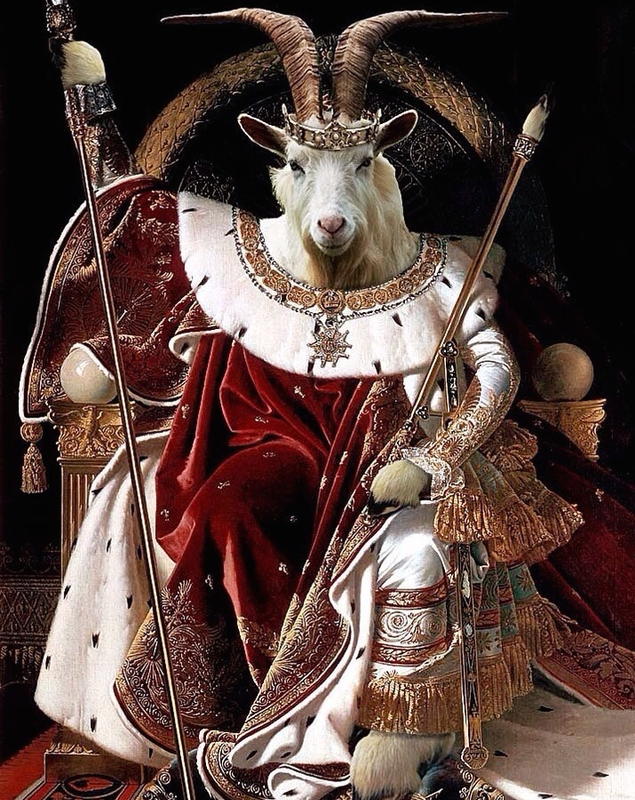 The goat has been duly kissed and hoisted aloft! Oops, a lot of exclamation marks have crept in, don’t show Finola. Happy to have Lughnasa as my birthday!